As an Italian-American, I have a special responsibility to be sensitive to ethnic stereotypes. No. 1, Halliburton. 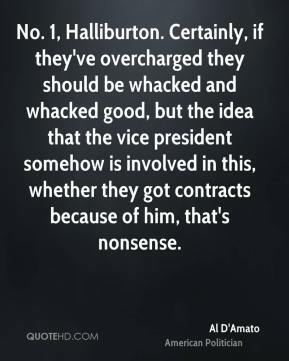 Certainly, if they've overcharged they should be whacked and whacked good, but the idea that the vice president somehow is involved in this, whether they got contracts because of him, that's nonsense. 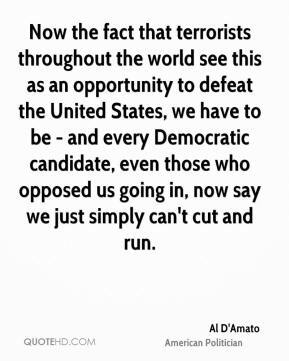 Now the fact that terrorists throughout the world see this as an opportunity to defeat the United States, we have to be - and every Democratic candidate, even those who opposed us going in, now say we just simply can't cut and run. 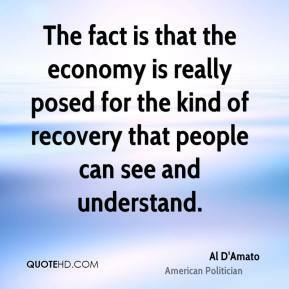 The fact is that the economy is really posed for the kind of recovery that people can see and understand. 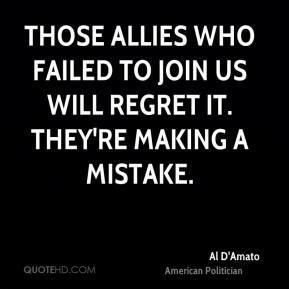 Those allies who failed to join us will regret it. 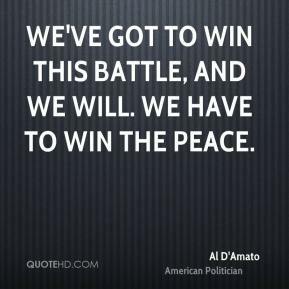 They're making a mistake. You have to go to where you can make money, and you see in the service area, in the technological area, those are the areas where we're going to create jobs.